Flakes on VPRO 3voor12 luisterpaal | Esc.rec. Two esc.rec. releases up for listening in VPRO 3voor12 luisterpaal right now! 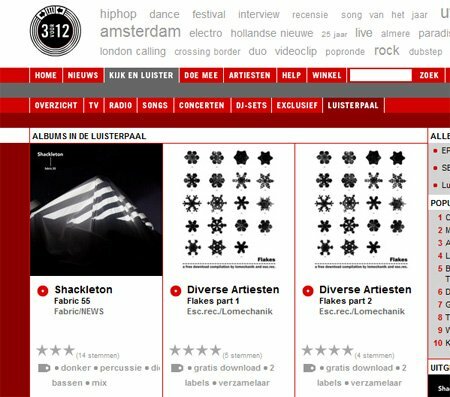 Besides Ambi (which got in last week as one of the best EP’s of 2010), the latest release entitled Flakes is now also up there (in two parts, because of a way too long technical story). Enjoy, and don’t forget to download!